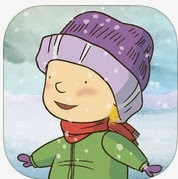 Read and retell the story Into the Snow: A Stella and Sam Adventure. Talk about making a snowman and things found under the snow. As of January 2016, this app costs $1.99. 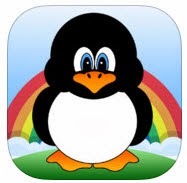 This app, Winter Animals Videos, Games, Photos, Books and Activities for Kids by Playrific, has activities perfect for describing, carry-over, increasing phrase length and a variety of speech and language activities. As of January 2016, this app costs $.99. Visit my post, Snow Day! 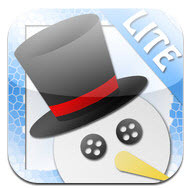 - Apps and More, to find out more about the free apps Snow Man (and free visual supports) and Snow. Snow Man and Snow are not available as of January 2016. 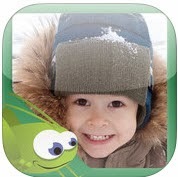 The simple picture book, I Like Snow, by GrasshopperApps.com has beautiful pictures of children in the snow with simple sentences. Great for vocabulary. Customize this book by adding your own photos and a repetitive line. Draw With Hearts allows you to add hearts to your own photographs or screenshots. This works well when working on prepositions or cause and effect. Free App February Is Back!